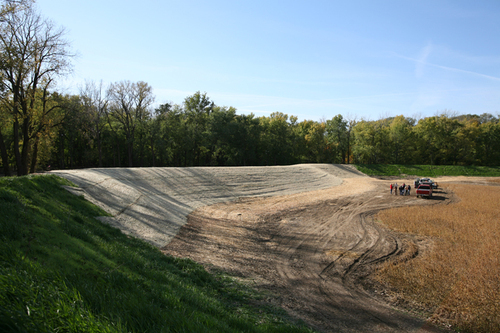 The project consists of repairing 1 breach in the Ambraw Levee approximately 775 feet long and repairing the scour hole associated with the breach with 52,000cy of fill material with an 8,000cy clay cap. 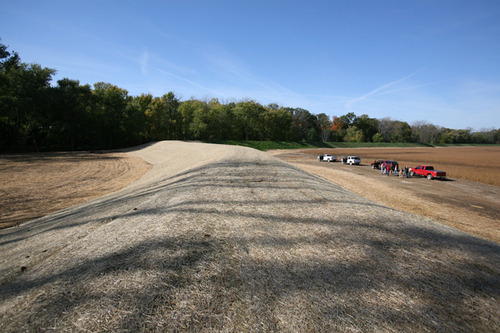 Ground crews filled and compacted 46,000cy of embankment material from the borrow area. Dewatering the scour hole to 3ft. Compaction layers would be plowed, disked, moistened, mixed, and compacted as necessary. 6 acres of seeding and fertilized.